Nicole is a wealth advisor and shareholder with Resource Consulting Group (RCG). She joined RCG in February of 2002. Nicole is a Certified Financial Planner™ professional and has over 13 years of experience in financial planning and investment management. As a wealth advisor, Nicole works closely with clients and other professionals in preparing, implementing, and monitoring their financial plans. She is also involved with the management and rebalancing of financial portfolios. As director of financial planning, Nicole facilitates the creation of financial plans geared toward families with young children and millennials. Her understanding of the market and passion for mentoring has driven her to assist in developing plans that are innovative and timely to help RCG meet the needs of younger generations. Nicole graduated from Florida Southern College with a bachelor of science in chemistry and a minor in biology. 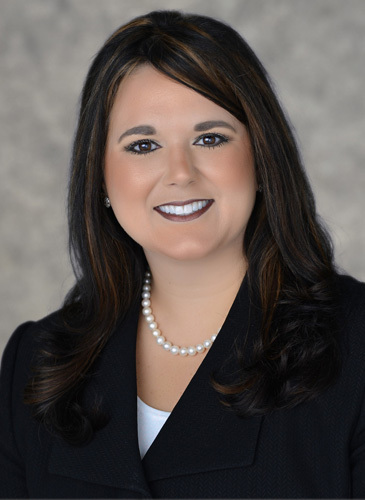 She is a member of The Financial Planning Association®, the FPA of Central Florida and the Central Florida Estate Planning Council. She also serves on two boards for the Epsilon Omicron Chapter of Kappa Delta Sorority at the University of Central Florida and on the Kappa Delta Sorority National Leadership Team as a chapter accounting specialist. Nicole is a native Floridian and enjoys playing golf, hunting, going to the beach, and spending time with her family and friends. It wasn’t until fourth grade that I picked up a bat and glove for the first time. From that point on, my life was softball day in and day out. 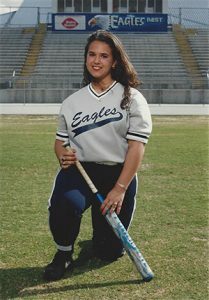 I excelled on the field and spent my summers traveling around the State of Florida with all-star teams and other competitive travel teams. This didn’t come easy though. It required a lot practice, drills, and perseverance. I was determined to be the best I could be and to make my parents proud. Whenever I was exhausted from practice and felt that I couldn’t do anymore, I always remember my mom and dad saying, “can’t never could” and these words have stuck with me my entire life. I continued to be a star on the field until my junior year of high school. One afternoon at practice, while sliding into second base I knew my knee would not recover, and it never did. After surgery, I remember thinking, “now what?” That summer, I took up golf, once again practicing every day. Knowing I could never play softball again, I made the high school golf team that spring after only picking up a club a few months prior. We went to state that year! Once again, determination and perseverance played a big hand. I went to college and gave up sports with the goal of being an Orthodontist someday and fulfilling my true purpose – helping others and giving them a reason to smile. Life doesn’t always go according to plan though. By my senior year of college, I came to the realization that neither dental school nor medical school were for me. Yet I chose not to change my major and graduated in 2001 with a degree in chemistry. I spent the next year wondering what I wanted to be when I grew up. The job market was dismal due to the tragedy of 9-11 on top of the recent tech bubble burst. I submitted countless resumes with no luck in sight for employment and finally decided a temp agency might be my best bet. I needed a job, any job at that point. My first placement was with RCG as their receptionist. Working at RCG fully introduced me to the financial service industry and the stock market. I had taken basic accounting and economics in college but never paid much attention to the financial world, let alone considered it a career path for me. Less than a year later, I finally knew what I wanted to be when I grew up! I fell in love with the service RCG provides our clients. As an advisor, I provide reassurance and confidence to our clients when they are making big financial decisions and planning their future goals. Creating a financial plan is like putting together a puzzle: lots of different pieces just needing to be arranged the right way to create their beautiful picture. No two puzzles are ever the same, making each day a new challenge. I face that challenge with determination as I strive to help others achieve their financial goals while giving them a reason to smile. I am grateful to my parents for instilling in me the importance of a strong work ethic and the perseverance to succeed no matter what life throws your way. It is because of those values that I am where I am today. While RCG wasn’t my plan A, it’s been the best plan yet.